How time flies – another December is upon us. That song by Wham! is on the radio, as are ads full of children’s voices and the inevitable “ho ho ho”, the news sites have started their various themed reviews of the year and I’m developing an irrational desire for gingerbread and mulled wine (actually mulled cider where I’m from): clearly, Christmas is not far off. Some of us take the winter’s most hyped festival (or the summer’s, if you’re in the Southern Hemisphere) very seriously, others take a more casual approach to it and others again just take it as it comes. That said, even the most determined Christmas grinches find it hard to avoid participating in its most widespread expression: gifts for – or from – our friends and loved ones. The Peter Sommer Travels list of Christmas gift suggestions is becoming a tradition on this blog – we already posted ones for 2013 and 2014. Like those, the 2015 version conatains carefully selected personal recommendations from Peter Sommer Travels’ staff and guests. Some of the items listed are ones we plan to give to those we care for, and perhaps some are ones we hope to be given. 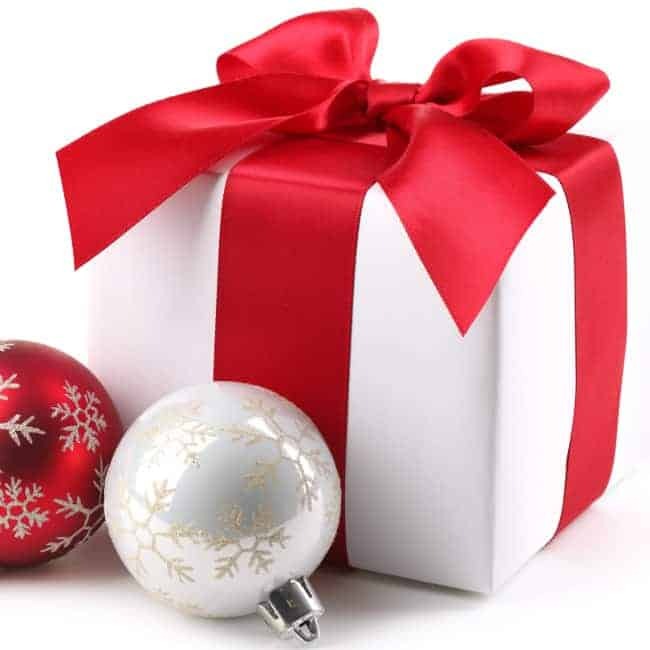 Without further ado, here is our 2015 Christmas gift list for those who share our passions: archaeology, history, travel, culture and food, especially of the regions we travel on our tours and cruises. As always, books take centre-stage as the “backbone” of our list, and also as always, that’s not all! Peter is the person whose energy and initiative have brought the company into existence: in 2016, he will celebrate the 20th anniversary of the very first tour he led in Turkey, thus laying the foundations for Peter Sommer Travels – if he can find the time… Having grown our range of trips from first a few and then a handful just in Turkey every year to its current spread of more than two dozen itineraries in three countries, Peter is a busy man, coordinating, organising, staying in touch with guests and guides – and leading his own tours. In 2016, those will include In the Footsteps of Alexander – the Conquest of Asia Minor, Cruising the Lycian Shore and Walking and Cruising the Lycian Shore. His ambition is to tell the story of the past in a lively, accessible and always inspiring way – just like the book he recommends. SPQR: A History of Ancient Rome, by Mary Beard, Liveright / Profile, 2015. In Britain, Mary Beard is a household name. Not only is she a highly respected professor of Classics at Cambridge – she has also become a media personality, highly visible through the various TV documentaries she has been involved in, as well as through journalistic work and her very excellent blog. Her SPQR (the title is the common Roman abbreviation for Senatus PopulusQue Romanorum, the Senate and People of Rome, expressing the authority and legitimacy of the Roman state) was published only a month ago to great acclaim. It tells the story of how Rome developed from a small Italian village to the capital of an enormous empire, and it does so in her typical style, which has been described as “vastly entertaining”: being the scholar that she is, she does not pander, popularise or simplify the story, but she manages to couch its complexities and challenges in an accessible, discursive and refreshingly jargon-free manner. Along the way, the reader meets many fascinating characters, learns about the character and culture of the civilisation we call Roman, including aspects that are familiar and others that are strange, always accompanied by Beard’s distinctive, insightful and erudite voice, as well as by her dry wit. Another busy man: Michael has been a key member of the Peter Sommer Travels team since 2009. His diverse knowledge, organisational talent, great rhetorical skill and boundless enthusiasm for history and archaeology are greatly appreciated by his colleagues and even more greatly enjoyed by our guests on the tours he leads. Although Michael is very familiar with all three countries we currently cover, the main focus of his activities lies in Italy. 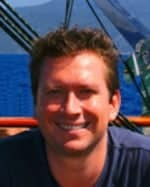 In 2015, he is guiding on our Exploring Sicily tour, Cruising the Amalfi Coast, Walking and Cruising the Carian Coast and (probably) our Gastronomic Tour of Sicily. His strong interest in Italy’s largest island, Sicily, was already reflected in his last recommendation and is so again this year. Palermo: City of Kings, the Heart of Sicily, by Jeremy Dummett, I.B. Tauris, 2015. In 2010, Jeremy Dummett published his first book about a Sicilian city: Syracuse, City of Legends: A Glory of Sicily. It was more than well-received: combining a description of the main monuments with a very well-informed, up-to-date and and beautifully written account of the city’s history, it can be considered a prime example of a city guide. The book is as useful to the visitor while there as it is to those preparing to go or to those who want to learn more after a visit. If some of us were wondering what Dummett had been up to for the last five years, now we know: he has applied the same concept, the same effort and the same care to Palermo, Sicily’s capital since the Middle Ages. Arabs, Normans, Swabians, Spanish and continental Italians rub shoulders with the local Sicilians throughout the fascinating history of Palermo, all leaving distinctive mementos, from cathedrals and palaces to street names and modest memorials, and Dummett knows them and places them in context. We can only wish that his approach, detailed, sensible and sensitive, catches on: many a fine city deserve this treatment! Olivier has been on our team since 2014. With an impressive academic background, he now works for the French Institute of Anatolian Studies at Istanbul, coordinating the Grande Nation‘s archaeological activities in Turkey. His speciality is – arguably, as he knows so much – Caria, and since 2012 he is the Director of Excavations at Labraunda, the ancient Carians’ central sanctuary to Zeus and one of the most evocative archaeological sites in all of Turkey. Our guests admire him for his compelling mixture of knowledge, dynamism and passion. In 2016, he will be leading our Cruising to Ephesus tour. Olivier is fun to travel with and fun to listen to, but he is never superficial, and nor is his book recommendation, a key pick for those of you who want to engage with antiquity in detail. The Maeander valley: A Historical Geography from Antiquity to Byzantium, by Peter Thonemann, Cambridge University Press 2012 (Paperback 2015). Finally out in paperback, The Maeander Valley is exceptional. Described in one review as “a book to celebrate”, it is a profound and detailed long-term study of the interaction between geography, landscape and people in one of Western Turkey’s primary historical regions. Thonemann is not an environmental determinist, but he demonstrates clearly how it is this very interaction that makes history. It has long been accepted in archaeology and historiography that such a regional approach is highly desirable, offering a perspective that places sites and events in a local context and beyond, and it has often been attempted, but never as successfully. Thonemann’s book, extensively illustrated and without a single word out of place, is not just the definitive account of the Maeander valley – it is currently the best example of this kind of study, and thus of interest not just to those visiting Miletus and other sites in the area, but to anyone interested in history. Jim Crow is an eminent scholar and professor of Classical Archaeology at the University of Edinburgh. His specialities include the frontiers of the Roman Empire and the archaeology of the Late Roman and Byzantine eras, especially – but certainly not exclusively – in Turkey. His many publications reflect the diversity of his knowledge, ranging from the water supply of Constantinople via the study of numerous Byzantine fortifications to the Housesteads fort on Hadrian’s Wall. Our guests on our Exploring Istanbul tour experience Jim not just as an expert on its fascinating monuments, but also as a dyed-in-the-wool connoisseur of the city, actively interested in its history up to the present day, as reflected by his suggestion here. Midnight at the Pera Palace: The Birth of Modern Istanbul, by Charles King, Norton & Company, 2014. Charles King, professor of International Affairs at Georgetown University, is a sought-after expert on the Black Sea/Caucasus region. Besides his scholarly work, he has published a number of works in the field of “popular history”, the most recent being Midnight at the Pera Palace. Greeted by rave reviews, the book uses the famous Pera Palace hotel, set next to what used to be the European terminal of the legendary Orient Express, as a basis for a fascinating tale of Istanbul’s political, social and cultural history between the two World Wars. This is the very period, following the foundation of the Turkish Republic and the loss of the status of capital, when Istanbul transformed itself from an Orientalist fantasy of Ottoman glory, minarets and domes, into an astonishingly modern and vibrant city. King follows this development through a colourful cast of characters who stayed at the Pera Palace, including Kemal Atatürk, Leon Trotski, John Dos Passos, Ernest Hemingway, Joseph Goebbels and many more. The result is an unusually lively insight into key aspects of 20th century history. 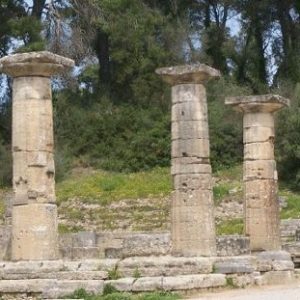 A prehistoric archaeologist by training and a traveller by vocation, I am Peter Sommer Travels’ Greece expert, leading most of our tours in Greece, as well as some of our Turkish itineraries. Another role that has fallen to me is the frequent provision of content, including our presence on various social media – and this blog. It is my ambition to express my fascination with the places we visit and the things we see and my love for them in such a way that our guests can take part in them and use them as a starting point for their own voyages of discovery, exploring culture, history and the spirit of place through travelling itself, through reading – and through tasting. As this post includes so many books already, this year I recommend something for your palate! Alpha Estate, Xinomavro Reserve, “Vieilles Vignes”. The extraordinary “wine revolution” that Greece has undergone in recent decades, rediscovering countless local grape varieties and developing them into fine wines, has become an important and popular part of our narrative. Wine tastings feature on our Cruising to the Cyclades, Exploring Crete tour, Exploring Athens tour and Exploring the Peloponnese tour, permitting a particularly enjoyable way to engage with the land and its produce. One of my favourite Greek wines is Xinomavro, the “Royal Red” variety of Northern Greece – I don’t need to explain it here, because Nota did so a year ago in a very eloquent and knowledgeable post, including the common reference to Xinomavro as the “Greek Pinot Noir”. One of the finest versions of Xinomavro currently available is the “Vieilles Vignes” reserve from Alpha Estate in Amyntaio (northwestern Macedonia). Matured in French oak for 18 to 24 months, it has all the characteristics of a classic Xinomavro: a ruby red colour, a complex nose of fruit, spices and smoke, a full body with flavours of dark fruit and a lingering warm and tanny aftertaste. This is a wine that will mature in the bottle for another decade or two, but it already shows the fine balance one would expect from a much older vintage. Its secret: it is made from grapes grown at an elevation of about 660m (2,150ft) – and the vines were planted 90 years ago! You won’t regret serving this with your Christmas dinner – or enjoying it afterwards! City: A Story of Roman Planning and Construction, by David Macaulay, Collins, 1974, various publishers at later dates. This is a book I grew up with. Macaulay is a living legend in the field of illustrated volumes on architecture, ostensibly aimed at children but fascinating to all ages. City is just one in a series of classics he created, also including Cathedral, Pyramid, Castle, Mosque and Mill (our links are to the original black-and-white versions, updated ones in colour are also available for most – and easily found). 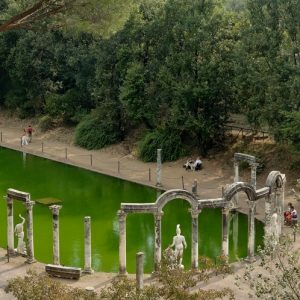 City tells the story of the foundation, design and construction of a fictional but typical Roman city. Like all of Macaulay’s work, it is distinguished by its accessible text and most importantly by the author’s extraordinary drawings: clear, detailed, precise and occasionally a little whimsical, including bold perspective views, cut-aways, sections and elevations, they have become a model for similar books and for many museum exhibit panels ever since. It is still a pleasure to read and look at after four decades. As cities were very much the central socio-political unit of ancient Greek or Roman life, City effortlesly provides key insights into ancient culture – it remains unmatched in its field. 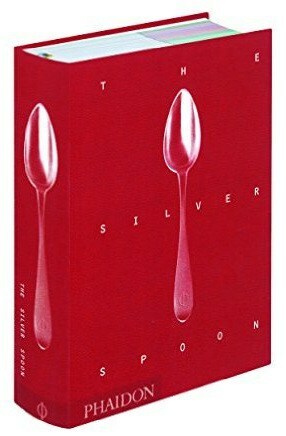 The Silver Spoon, by the Silver Spoon Kitchen, Phaidon, 2011. If there is such a thing as a cooking book classic, this is one! The Silver Spoon is a household standard in Italy, not just a cookery book, but a veritable encyclopaedia of Italian cuisine. The original il cucchiaio d’argento was published in 1950; by now it is in its 8th edition and it is said that nearly every family in Italy has a copy. The English version is very true to the original, including all its recipes – there are more than 2,000, ranging from soups and sauces via antipasti, starters and soups, to pizza, pasta, fish and meat and finally desserts. The English version is carefully translated, remarkably well organised and easy to use; where the original uses Italian idiosyncrasies or local ingredients, it provides explanations and alternatives. A series of menu suggestions by prominent Italian chefs is another welcome addition. The Silver Spoon is really worth having: I received a copy last summer and so far everything I’ve tried has been a success! We’re not the only ones who enjoy reading. Most of our guests do, too, inspired by their own interests and – maybe – sometimes by our trips. We’re always curious to hear what they’ve found. This year, we have recommendations from two old friends, both of whom have joined us on many tours and cruises – we look forward to welcoming them again! World Heritage Sites: A Complete Guide to 1,007 UNESCO World Heritage Sites, by UNESCO, Firefly, 2015 (6th edition). All Alexander’s Women: The Facts, by Robert Bosschart, Book Surge, 2010. Zorba the Greek, directed by Michael Cacoyannis, 1964. Cacoyannis’ film was a sensation when it came out more than 50 years ago, winning three Academy Awards and influencing the popular image of Greece up to the present day. Unfortunately, that influence seems to be limited to the last few minutes of the movie – the famous “Zorba’s Dance” scene, to the even more famous Theodorakis tune, which has fed into a cliché of the carefree fun-loving Zorba type, a cliché that even Greeks sometimes play on. That’s not really what the film is about: based on the novel by Nikos Kazantzakis, it shows a gritty, complex and conflicted Greece (Crete, to be exact), a place of darkness and light, of comedy and tragedy alike – and one of strong characters. Anthony Quinn’s portrait as Alexis Zorbas is rightly legendary; the man must have been a great observer of people. Apart from Alan Bates, the cast also includes a stunning Irene Pappas and an extraordinary performance by Lila Kedrova. Definitely worth watching. We’ve said it before and we’ll say it again: playing is not just for kids. Since time immemorial, it is a way to relax and open our minds, to re-engage with aspects of our world in new ways and to mix up the way we see things. LEGO Architecture 21020, The Trevi Fountain in Rome, 2015. Surely, there is no need to explain what LEGO is. LEGO Architecture is a series that has been around for a few years already; it comprises quite detailed model kits replicating famous architectural monuments. It started with classic masterpieces of modernism, but recently, older buildings are beginning to appear as well. One of this year’s is Rome’s famous Fontana di Trevi or Trevi Fountain. Constructed between 1732 and 1762, the Late Baroque structure, richly decorated with allegorical sculptures, is one of Rome’s most famous landmarks. Now you can make your own, from 731 LEGO bricks, maybe to get in the spirit for our Exploring Rome tour! In recent years Etsy, the website specialised in handmade items, provided ideas for the final and usually odd suggestion in our Christmas lists, but this year it’s moved one up. On our tours, we and our guests tend to enjoy ancient mosaics a lot. From the Hellenistic pebble ones, via Roman marble masterpieces, to the elaborate gold-bearing ones in Byzantine domes, they are simply fascinating and beautiful objects. Have you thought of creating one yourself? Giorgia Palombi is a mosaic artist based in Rome. In her shop, Designermosaici, she offers not only elaborate (and accordingly pricy) replicas of great mosaics, but also some simpler mosaic kits, such as the geometric pattern shown here, or a very charming capricorn, all made of real marble tesserae (mosaic tiles). They include everything necessary to make and frame the mosaic, except a pair of pliers. If you aim to be more creative, you can also order sets of marble and glass tesserae in assorted colours. Go for it – they make pixels meaningful! Like every year, I’ve scoured the internet for unusual gift ideas connected with our themes of travel, antiquity, archaeology, food etc. Once again, I’ve found something a little odd: a kilim. Kilims are, of course, the traditional woven rugs of Anatolia, one of the most typical Turkish handicrafts. So, it doesn’t sound all that odd? 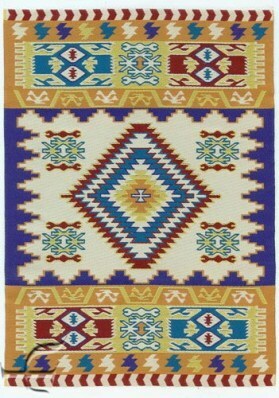 Well, this is not a real kilim, but a miniature one, measuring only 15 by 22cm (6 by 9″), about the size of a normal mousepad – as which it can be used. Remarkably, the object is woven, not printed. It comes from the “Yurdan online ethnic store”, specialised in Turkish gifts, which offers a vast array of such miniature carpets in various sizes, ranging from simple kilims like this one to ornate oriental rugs, usable as mousepads, bookmarks, placemats, coasters or whatever else comes to mind. Highly affordable (as opposed to the real thing), they are quite striking objects in spite of their small size: a little piece of Turkey on your desk or table. Evidently, we cannot offer links for finding that, but why not have a look at our 2016 travel brochure instead – and treat your loved one(s) to the holiday of a lifetime?